This is the first product review for the year 2018. And I hope you guys will like it. Today am introducing a new brand, Imiana House. Its a very newly launched brand in the market. Their products are 100% natural, vegan, free from SLS, parabens, pthalates, synthetic colorants and artificial fragrances. Also they are a cruelty-free brand and don’t test on animals. Apart from all this, all the ingredients used by Imiana House are organic and premium quality. The products are handmade with all botanical natural cold-pressed virgin oils and extremely moisturizing butters. The brand sent me three products for review – Choco Mint Body Butter, Pink Kaolin Clay Soap and Afro Cocoa Soap. In this post, I will review the Imiana House Choco Mint Whipped Body Butter and in the next post I will review the soaps. At ImiAna House , We believe falling in love with skin and hair in natural way . All our products are made from botanical natural oils and extremely moisturizing butters . At ImiAna House we use only 100% pure essential oils which are Rejuvenating , relaxing , soothing and therapeutic in true sense. Imiana House Choco Mint Whipped Body Butter enriched with organic cocoa butter , organic Shea butter , organic mango butter ,coconut oil ,jojoba oil , peppermint essential oil , vitamin E oil and Cocoa powder is a true bliss for dry skin , it effectively moisturizes skin and penetrates deep to give soft and supple skin. Reduces fine wrinkles and is anti-ageing. Rs.499 for 50g and Rs.950 for 100g. Imiana House Choco Mint Whipped Body Butter comes in a simple plastic tub packaging. I wish they can improve the packaging to give a more luxurious feel to the product appropriate for premium, organic brands. Imiana House Choco Mint Whipped Body Butter has a thick, whipped cream consistency. But when it comes in contact with skin its melts easily like a butter. It feels like applying rich melted chocolate on skin but without the stickiness. It is a very nourishing and moisturizing body butter. The yummy chocolate scent lingers on your skin for sometime. I use it mainly on my feet and hands as they become very very dry during winters like Sahara desert. My foot was in a really bad condition when I started using this. It was very dry and itching. Within 3 days of using, I could see my feet was healthy and nourished with no itchiness. Using it as a hand cream, I could see visible difference in the condition of my hands too. Imiana House Choco Mint Whipped Body Butter contains Kerala grown organic cocoa powder. 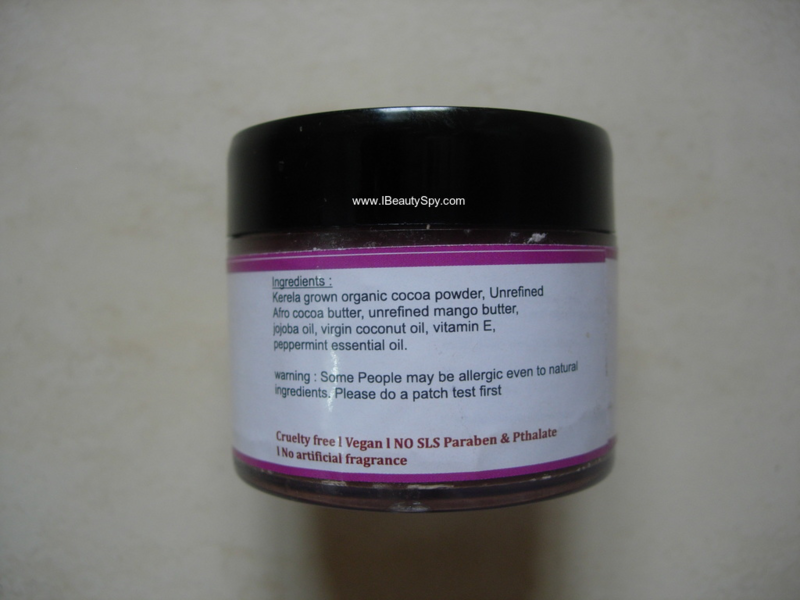 Most of the chocolate body butters that I have used previously (The Body Shop, Juicy Chemistry, The Nature’s Co, Khadi, etc) contain only less quantity of cocoa powder. But I think that this one contains more quantity of cocoa powder from the rich choco smell as well as I can feel the cocoa powder even while applying it. 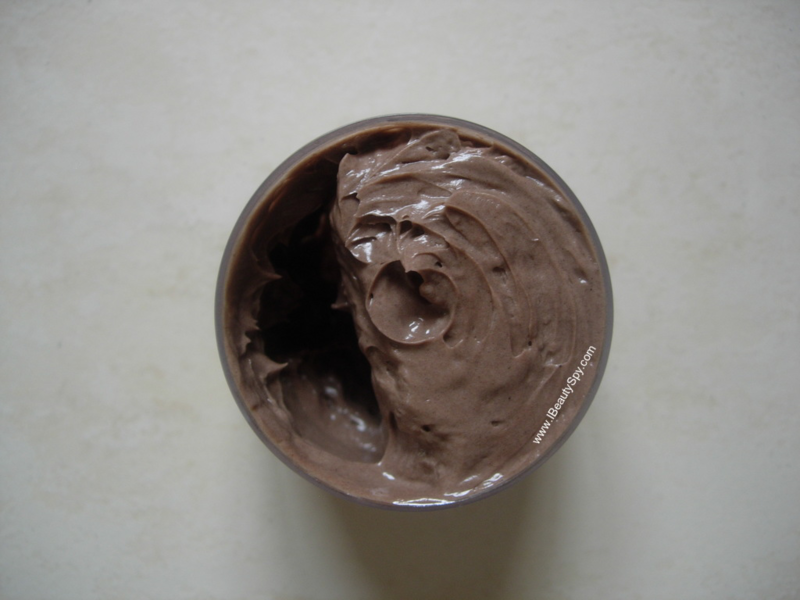 If you have ever tried making choco body butter at home, you can understand it. How adding more cocoa powder can feel on your skin. Coming to other claims of reducing stretch marks, I can’t comment on it as I don’t have any stretch marks. Also I don’t have wrinkles, so can’t comment on it as well. It does give a slight shimmer (shine) on application, due to the oils present in it. But it is very subtle and will fade away in a while. 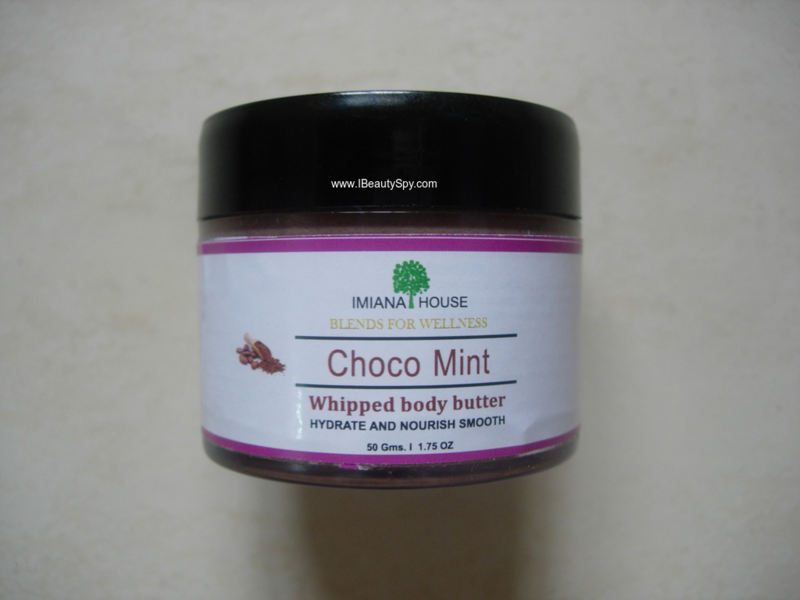 If you love chocolates, I would highly recommend you to try the Imiana House Choco Mint Whipped Body Butter. Its one of the best chocolate body butters available in the market. I have used Juicy Chemistry Choco Mint Body Butter also. It is good too, but it has the peppermint scent more dominating than the choco one. And its not as emollient as this one. The Nature’s Co Choco Mint Body Butter too has a lesser scent of cocoa. Being a big chocolate lover (my favorites are Dairy Milk Silk and Temptations, what are yours? 😀), I really enjoyed using this one from Imiana House. What I like most about Imiana House Choco Mint Whipped Body Butter is that it doesn’t contain beeswax which is a filler in many of the common body butters. All are natural ingredients – butters, oils and cocoa powder – all good for skin. Since it doesn’t contain water, there is no need for any preservatives. * Has a delicious smell of rich chocolate. * Thick, buttery and emollient consistency. * Gives a subtle shine on application. * Heals dry and parched skin. * Doesn’t contain the common filler beeswax. * Premium quality organic ingredients used. * Packaging can be made more luxurious. Its pricey. But I feel its a luxury product which everyone needs for pampering once in a while. You can use coupon code ‘IBEAUTY15’ for flat 15% off on their products.